I know I've been a bit scarce these past few weeks, especially last October. I was quite busy with my students as I was training/coaching a lot of them for a national level competition in various areas. So finally it was over and done with by the end of October (yep we won! It was worth all the hard work, puyat, and no blogging muna hehe) and I couldn't wait to finally treat myself out for a job well done. Yes, I promised myself that I will pamper and treat myself out to a massage. It's my one sure way to get rid of stress. So when I was invited by Asian Massage to check out their massage I just couldn't wait to try it out! 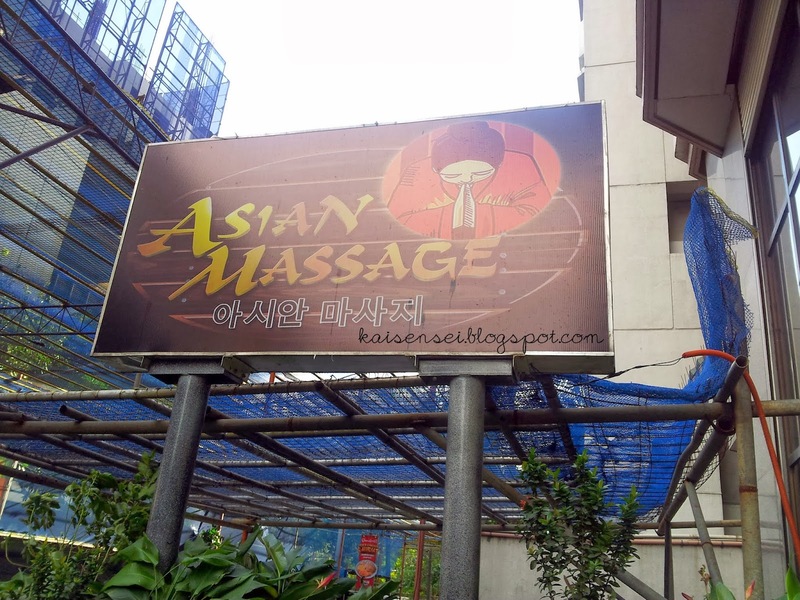 The Asian Massage actually houses not just the Massage area itself but also the Asian Clinic and Asian Salon. For those interested only in Massage, well then Asian Massage is open for 24 hours! To make sure that you have an available masseuse, it is best to call them up to set up an appointment. Upon entrance you will find the reception area and waiting area. You may book for the service you like immediately. Since the massage service is available 24 hours, walk-ins are acceptable. 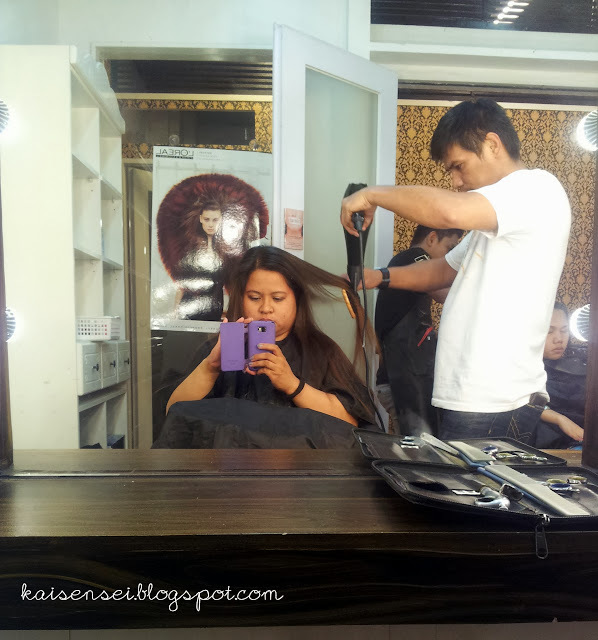 For the salon or clinic service, they are open only up to 7 or 8 pm. So it is best to inform them in advance. 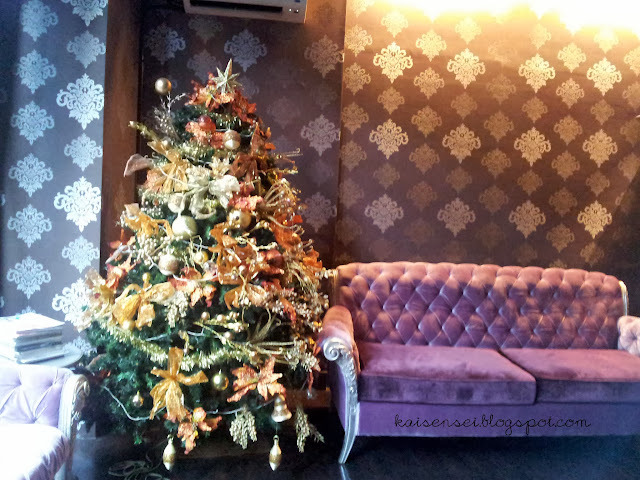 Asian Massage already decorated for the holidays! 1. Seomyeong Massage using Japanese Moguza (120 min) which is recommended for clients who suffer from pain. This technique helps clients with dyspepsia, gastroparesis, slow motility syndrome, constipation, and colic. 3. Asian Massage Signature (120 min) - you have a choice from 4 kinds of Massage oil: Peppermint with eucalyptus, Floral Lavender, Lemon, and Green Tea. Other services offered are Acupressure Shiatsu Massage, Refloxology Hand Foot Massage, Thai Massage, Hilot Massage using Virgin Coconut Oil, Pregnant/Baby Massage, Massage with Special Oil (Whitening, Herbal, Rosehips, & Slimming Oil), Hot Stone Massage, Ventosa Treatment, and Promo In House Massage. I was offered the option of a 30 minute massage of either the shiatsu massage or the hand-foot massage. Since I had been so looking forward to this, I decided that I will pay an extra hour for a full body shiatsu massage and get the 30 minute hand-foot massage. Yes.. pamper kung pampered.. haha. I later found out that they had an ongoing promo so instead of the 1 hour massage costing me Php 400 naging Php 300 na lang. I was definitely pleased with this affordable price! 1. Ambiance. The lighting was dimmed. Soothing therapeutic music was playing. And the faintly twinkling lights on the ceiling was just enough for me to see my surroundings. 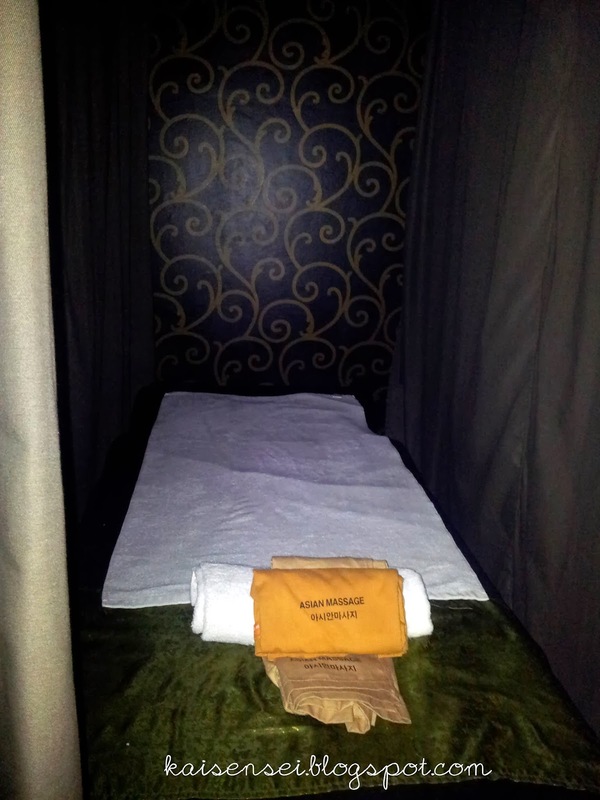 There were several massage "cubicles" in the massage room areas. I call it cubicle because the area for the massage was small enough to fit the massage bed. Each cubicle had just these thick curtains to "separate" from each other. The good thing about the curtains is that if you want it to be a "couple room" experience, all they had to do was push the curtains aside. The down side is that you can definitely hear the other occupants in the area if they are the talkative type. 2. Amenities. They had a CR but not in the immediate area. So make sure you take a leak before going in. They also had a some type of cabinet under the massage bed which is a plus for me. I think it would have been better though if they had offered this with an actual lock and key. I'm not sure if they have a padlock. If they had it wasn't offered to me. Anyway as you can see in the photo above, upon reaching the bed you are offered a shirt and shorts to wear. So depending on the type of massage, you wear the appropriate attire. 3. Massage. In my previous massage experience, normally before it starts, I would be first asked to have my feet either washed, wiped with a wet towel, or something similar. I was surprised that this service was not offered. I would definitely recommend them to do that! So I ended up wiping my feet with my wet wipes. (yeah I'm a bit picky like that). After changing clothes I finally got to my most awaited massage and oh boy was I NOT disappointed! I already had an idea how the shiatsu would go so I was very happy with the way massage went. 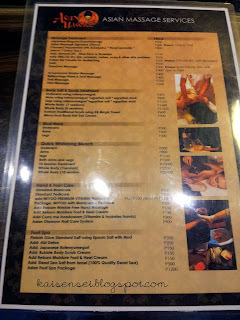 I'm a big fan of hard massage (yes hagod kung hagod... haha!) and the therapist did it just right. The acupressure was basically a lot of hand presses (which I loved!!!) and the shiatsu part was wonderful. The therapist spent a lot of time on my back though I think if you want it to not be too focused on the back, you just have to inform them. I applaud the way she massaged the legs and foot. Usually based on experience, the massage treatment that I get on my legs is either too much that it causes me cramps afterwards or too little which leaves me quite unsatisfied. This time the pressure was just right and I really enjoyed it! As for the hand-foot massage, I can say the treatment was the same more or less. I believe the price I spent on the extra 1 hour massage was well spent! Afterwards I dressed up and got ready for the next treatment. Again though I would definitely recommend that they could probably present hot towels to the guests afterwards to wipe away the oil. But overall the Asian Massage was really good. 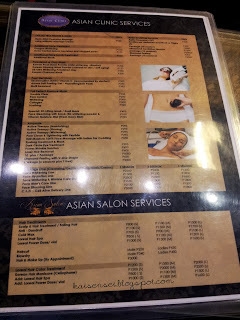 After the Asian Massage, I was able to try out the services offered in the Asian Clinic which specializes in skin care science and slimming center. I was offered the choice of experiencing the KB Dermafirm Treatment for my face or a ten minute Radio Frequency (RF) Treatment (slimming) on the tummy. Well definitely I wanted to try out the RF treatment! The normal RF treatment time is about 20 minutes. According to the staff in charge of the clinic at that time, for an RF treatment to show its effectivity, you need at least 10-12 sessions (plus of course natural diet and exercise). The most RF treament you can get in a week is only 2 so that means you can see visible results after more than a month. As for the RF treatment itself, yes it was very hot! They would put a special jelly-like lotion on the area where you will have the treatment. 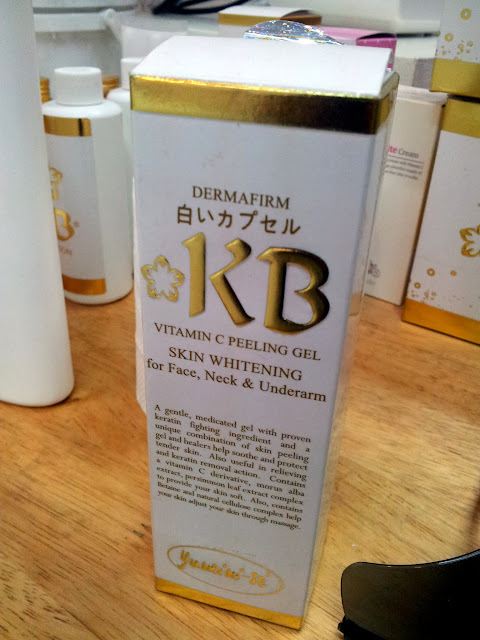 This lotion is a bit cold which is normal. 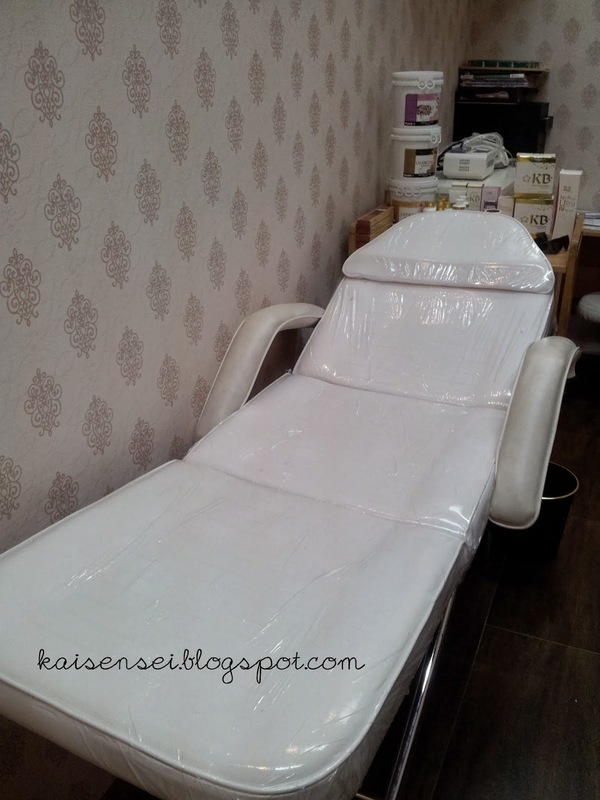 You'll be thankful later coz when the RF treatment starts it gets really really hot! Not that hot that it will feel intolerable but just enough to really sense the heat and make you feel and imagine all your fats are slowly melting away (hehe). After the treatment it is advised that you don't drink any cold water after 24 hours. So keep that in mind when you opt for the RF treatment. My before and after pic! 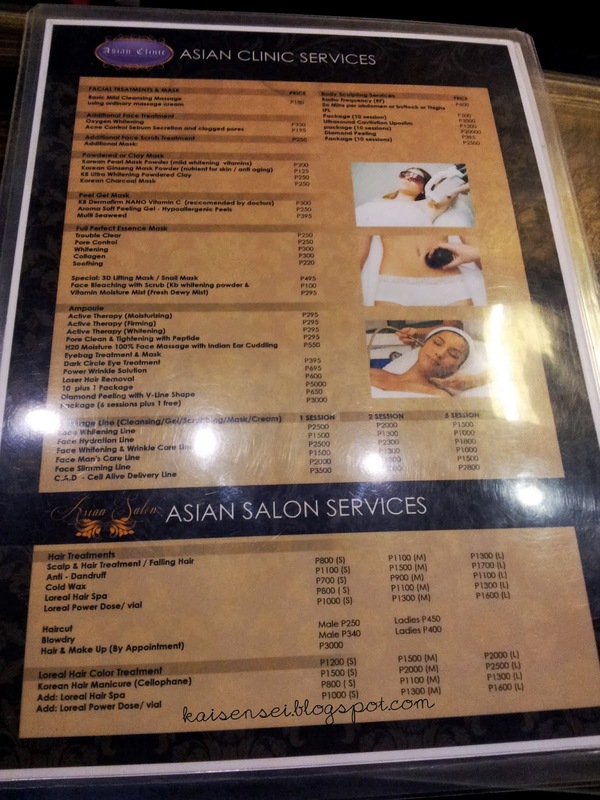 Now the last service I tried was the Asian Salon. I was given the choice of having my nails done or have a haircut but since I just had my pedicure like 2 days ago I decided to try the haircut. Yes, I did had a haircut! 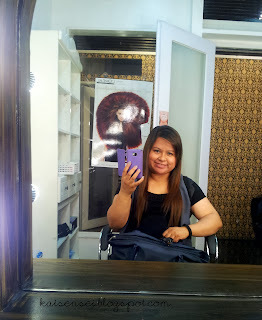 Its not that obvious coz I asked for a trim lang. Obviously I'm not in a daring mode to change my hairstyle (wah scared ako!) so I just asked for a layered cut and some sideswept bangs. The hairstylist was a bit challenged by my thin hair and convinced me to have more than an inch na trim (hahaha sorry naman.. 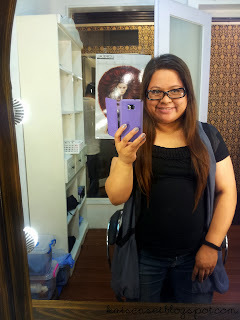 I really don't want to have short hair) so I had it trimmed 3-4 inches na layered. I'm happy with the cut so yeah! This is what I wanted. 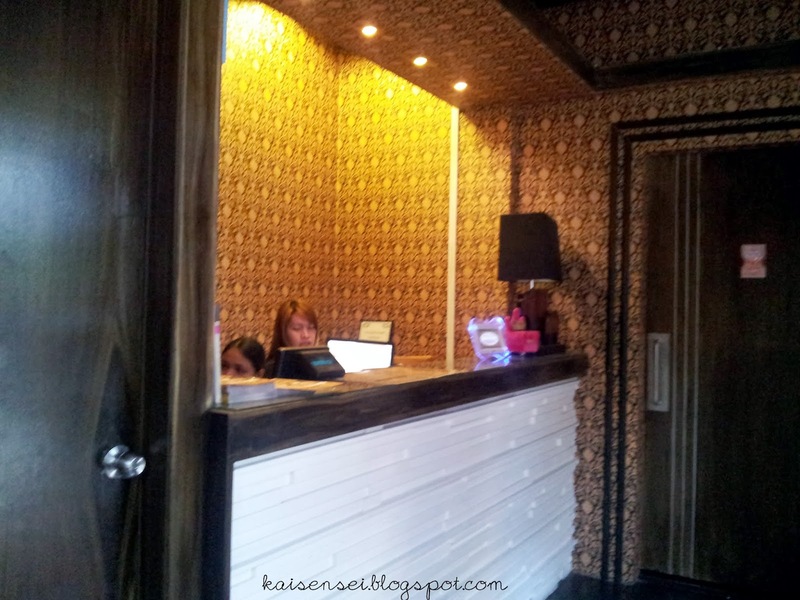 So yeah overall I think I really was able to enjoy my pamper stress-free afternoon here at the Asian Massage! And I think it would be the perfect place for gals who want to have this kind of 3-in-1 treatment (massage, skincare, hair and nails) in one place coz they've got all the service you need. The price range I believe is quite fair. Especially considering the area where Asian Massage is located. So coffeeholics, if you are in the Ortigas area and want to have a massage -- do try Asian Massage! The place looks comfortable and even have salon services. Looks like a perfect place to get some relax.